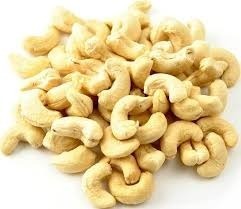 We are reckoned amongst the clients for offering a quality tested array of S Cashew Nuts. The Split Cashew Nut we offer is widely demanded by the clients for their rich taste and hygienic nature. These S Cashew Nuts are available in the market at industry leading prices. Moreover, one can get these products at reasonable rates. Konkan Natural Agro Foods Pvt. Ltd. Since our formation in the year 2015, we, Konkan Natural Agro Foods Pvt. Ltd., have successfully garnered a huge list of happy clients who trust upon us for their needs and requirements. We have earned a good reputation as a leading Trader in this competitive realm. We specialize in providing optimum quality range of Cashew Nuts, Fresh Mango, Kokum Juice and many more. Our products are widely demanded in the market due to their high quality and reasonable rate. Our company firmly believes in following fair business polices in our business dealings and offers our clients international standard products in hygienic packaging. We have gained widespread recognition in the market because of the significant attributes of our provided products such as delicious taste, longer shelf life and freshness. We are processing our products under hygienic conditions to ensure that complete client satisfaction is achieved. Further, we are assisted by a qualified and skilled team of professionals who hold immense knowledge in this field.